Banten has become the first province for the implementation of Anti-Corruption Working Group (ACWG) I by Indonesia Business Links, in collaboration with Corruption Eradication Commission (Komisi Pemberantasan Korupsi / KPK), in February 22, 2019, as a part of the activation of Regional Advocacy Committee Strengthening Program. 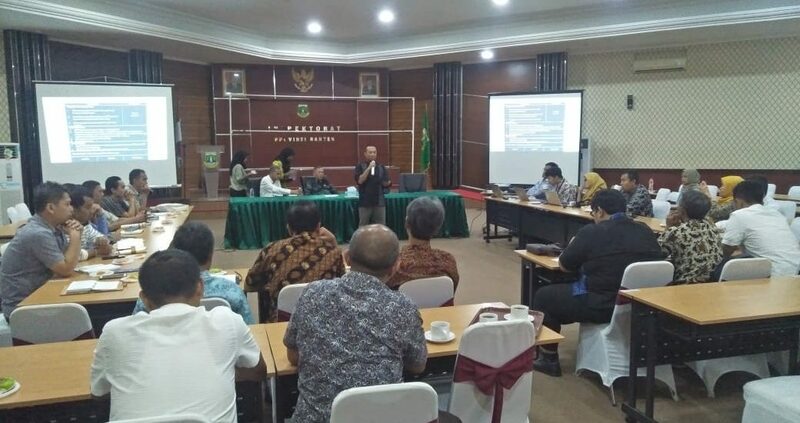 This event, which was attended by businessmen from Banten Province, commitment-making officials from several offices, as well as academics from Universitas Sultan Ageng Tirtayasa, held with the purpose to form a concrete action plan for KAD regarding issues that happened in Procurement services. The direct involvement of Banten province governmental inspectorate in this event, became a form of recognition for KAD as useful platform for corruption prevention program in Banten. Some of the action plan has been formed and immediately followed up by Local Government, Private Sectors, and local academics.